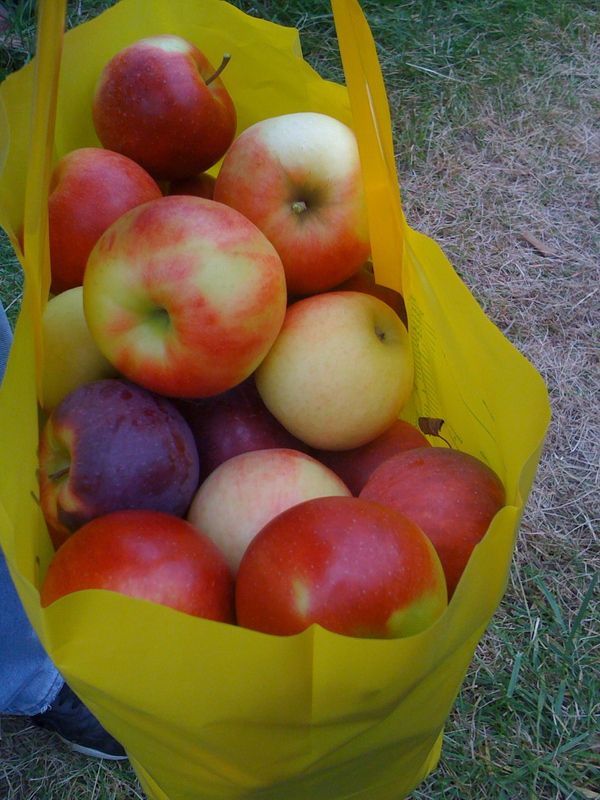 One of the most hyped and recommended New England Fall activities has to be apple picking! As someone originally from the Mid-West, I’m familiar with the concept though never really had the opportunity to participate in this tradition (that I can remember anyway)! So, once it started getting cold, I started plotting the perfect apple picking day! I ended up visiting Shelburne Farm in Stow, Ma – about 20 miles outside of Boston. The farm not only had a great selection of apples to pick yourself but had pumpkin patches, cider, hayrides and tons of activities for kids. Let me tell you, at first, picking apples off of trees kinda sounded like a weird way to pass time in the Fall. But after doing it, I would definitely recommend it to anyone who lives here! It was seriously fun – and the apples are excellent! Apple picking tip: look for redder apples, and check for critters! Another must when apple picking is chowing down on some apple cider donuts. Again, this was a food item that I had never heard of before moving here. The donuts made at Shelburne Farm were delicious; freshly made, warm, moist and loaded with cinnamon sugar goodness. The donut went perfectly with the piping hot mulled cider. Look at all these apples! The only downside to the day was a drizzle that persisted for about an hour. It did ease up eventually, and the fun commenced! 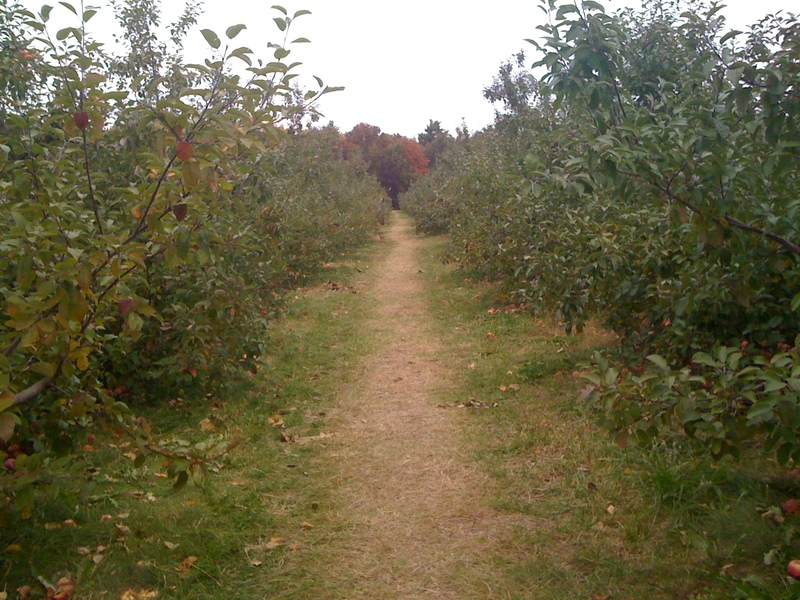 This entry was posted on Wednesday, October 27th, 2010 at 2:36 am	and tagged with Apple Picking, Boston, Cider, Donuts, Farms, Ma, Orchards, Pumpkins, Stow and posted in Uncategorized. You can follow any responses to this entry through the RSS 2.0 feed.